Stop bringing plastic into my home - especially single-use crap! Plastic wrap. An addiction far more severe than the one have to plastic bags. Because unlike plastic bags, I've always used the wrap to preserve cheese and half-used onions, peppers etc. I grew up in kitchens that were used for catering events. My parents had to preserve large quantities of partially prepared food in fridges and freezers. When containers didn't cut it, they relied on plastic wrap. Who doesn't? I happened to receive Bees Wrap as part of a Mighty Fix subscription, otherwise I might not have tried it. I mean, I would have done it eventually. But I know I would have dragged my feet because of the aforementioned addiction. At first I was surprised by the strong bees-wax smell. It's not unpleasant, but I didn't love the thought of it infiltrating whatever food was wrapped in it. Guess what? It doesn't. 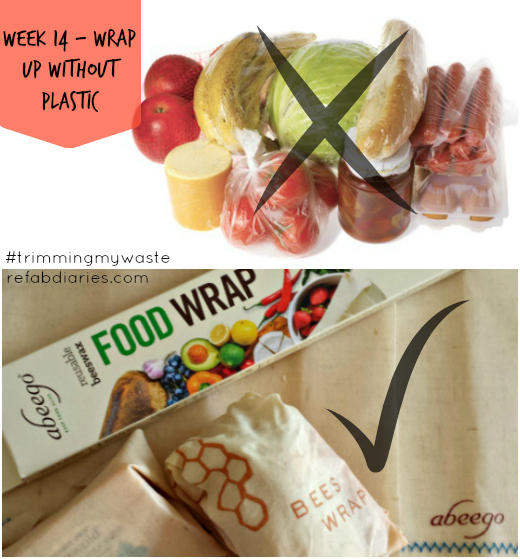 Then, because I'm participating in her #makelesstrash2016 challenge, I was a randomly selected winner of three abeego wraps from BeZeroWasteGirl. They are thicker than the the Bees Wraps and will probably last a little longer. But I'm already seeing the division of labor between the two brands. I tend to use the Bees Wrap to save cut produce like bell peppers (it works great!) 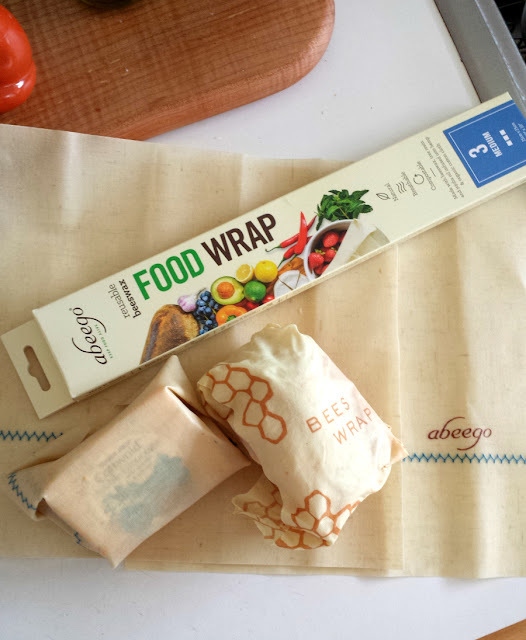 and the Abeego wraps for sturdier things like cheese or to "cover" an open container. I also use both types to wrap up slices of bread (or a sandwich) to go. Do any of you use these products? Willing to share your thoughts below?